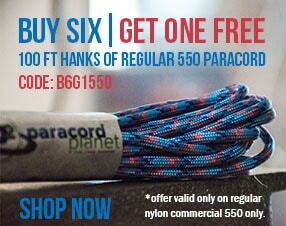 Do you ever find yourself at happy hour and all you want to do is talk about paracord? Us too! You can have alcohol free happy hours and spend an hour crafting after work or go to a bar and use some awesome paracord creations to show everyone something you love. Either way, you get to talk about paracord! The paracord cup is a fun and easy project to do as well as a great piece to have with you at happy hour, traveling, or camping. You can make this with a diverse range of cup shapes and sizes. The best part? 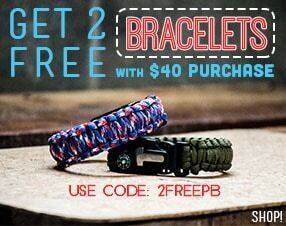 You can completely customize your cup with different colors or size of paracord. Learn how to make your own here. Here's something that grinds my gears - when people have a drink and don't use a coaster at my house. Anyone else? Maybe with some fun turks head coasters they'll want to use them! You could make a fun set of 4 coasters as gifts or to keep for yourself. This is a really fun one to do and keep with you all the time. It'll keep your hot drinks hot, and cold drinks cold. If nothing else, they're a great conversation piece and something you can show off. Learn how to make your own here. Have you ever mixed up your drink with your friend's drink? I have and they had something nasty. Use some paracord charms and that won't happen again. You can customize these with charms, beads, and colors.These can go on a variety of places on your drink - clip to a can tab, cinched on the base of a bottle neck, or at the base of a wine glass.